This cookstove is a hybrid between rocket mass heater and masonry heater technologies that has precedents throughout the world, especially in Europe. While it embraces many aspects of rocket mass heater design, one of the main differences is that it substitutes the barrel-style heat exchanger for a flat metal cooktop which makes for a compact footprint. It also includes a batch-style firebox which is characteristic of masonry heater and newer rocket mass heater designs. The Cabin Stove Plans are currently not available for purchase as I feel that they are outdated. Joining our mailing list is the best way to stay abreast of updates. 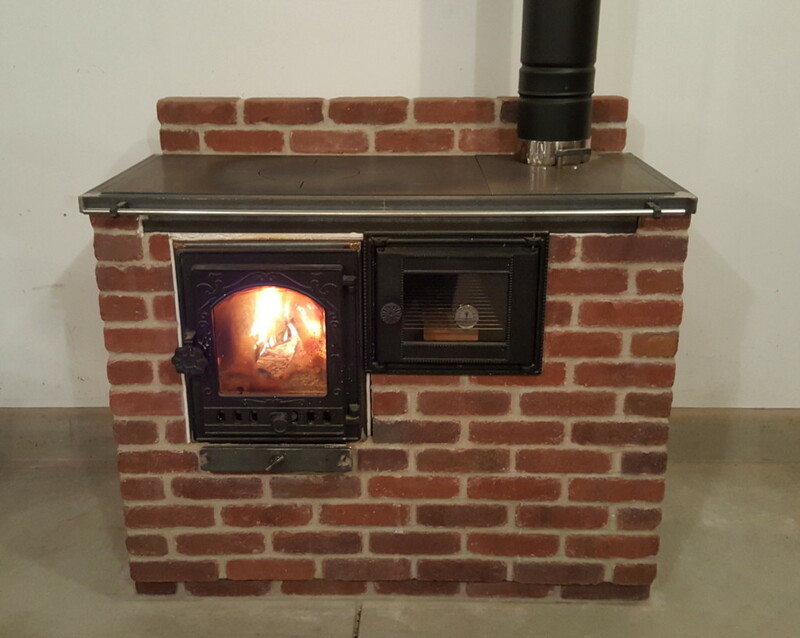 The Shop Cabin Stove – February 2017, definitely the model I am most excited about at this point. Here is a photo report of the build which is the closest to plans currently available. Some photos and video of our most recent “open-source” hardware. Albie Barden’s Cookstove Pamphlet, Heart of the Home, Current Work. Alex Chernov’s contributions, the Russian Rocket, thoughts on isolating combustion chamber in single-skins, general Russian precedence. Don’t miss updates! Join our mailing list!